Feelings put in "I want to change the way of working in Japan"
“Drawing a new way of working” ─ The thought contained in the concept of the project, it was deeply related to the sense of task that Okamura’s project leader, Mr. Lunai consistently had in his long career. WORK MILL The project was born from what Okamura’s, and Mr. Sayonoi’s thoughts, how do you make it together with loft work? Project members Mr. Nanai Mr. Yamada, Mr. Taniguchi, Mr. Loftwork Yanagawa, I will review the previous projects in Yanagawa and Hara. 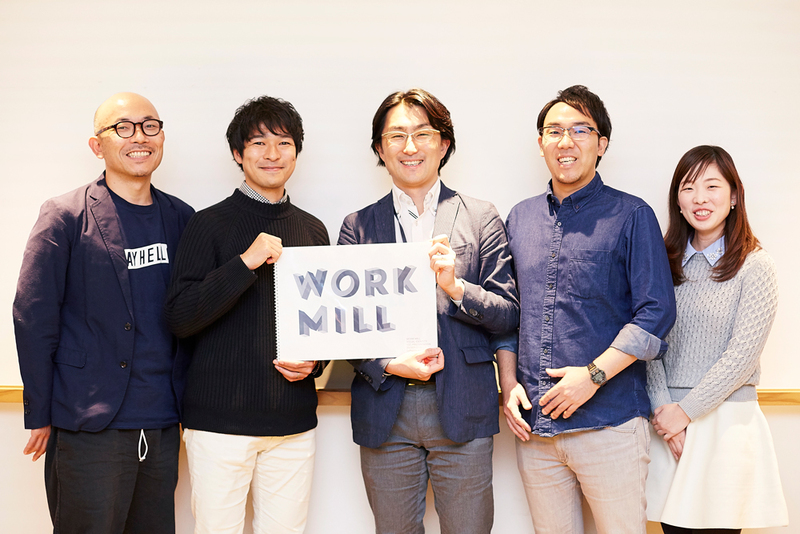 I want to change the way of working in Japan "Feelings included in" WORK MILL "
Yanagawa (Loftwork) : I had a relationship with Mr. Nagai for a while before starting this project, but from that time I was studying “how to work”. Why are you working on new ways of working at Okamura Manufacturing Plant? Late Noi (Okamura Seisakusho) : I have been looking at the cutting-edge site of manufacturing in Japan for over ten years in my previous job. Its technology is truly wonderful, but when you look at the way you work inside the company, there are not many moments when you feel like “Why would you choose such a traditional and inefficient way?” As a result of such a feeling of concern, in the summer of 2011, I decided to go to graduate school in order to research “better way of working”. Trying to organize and train the experiences and questions accumulated so far systematically. Yanagawa : It was at the same time that I switched from the first electronic equipment manufacturer to a software company, right? Late Niii : That’s right. At this time, I mainly worked as a business consultant with a focus on IT. As part of that work, I asked them to visit offices of various companies. When visiting a variety of co-working spaces and seeing the experts gathering together in a sophisticated space and creating a new job, “When you change the place of work you can work with modern Japanese way of working I should be able to update “, I made my research theme in graduate school” co-working space “. Yanagawa : It was because we had such a background that we visited KOIL (Kashiwanoha Open Open Innovation Laboratory) that we worked on. Late Noi : It was the timing that KOIL opened when I moved to Okamura Plant. I thought that I am a Kashiwa citizen and I am studying co-working, there is no way I can not go to KOIL. That’s why I came across Loftwork for the first time. Each member’s personality is rich, and every one of the things that it is awesome is interesting. “I wish I could work together someday,” I felt. Yanagawa: From the time Mr. Late Noike was transferred to the Okamura Manufacturing Division, at the Okamura Works, the project that became the prototype of “WORK MILL” started to move. Osonoi : From that time on, I was beginning to “strengthen information dissemination to the world”. In order to create a fan community that goes beyond the framework of “customer” vs. “company”, it is indispensable to communicate outside. In January 2015, this movement embodied and a new project was launched. 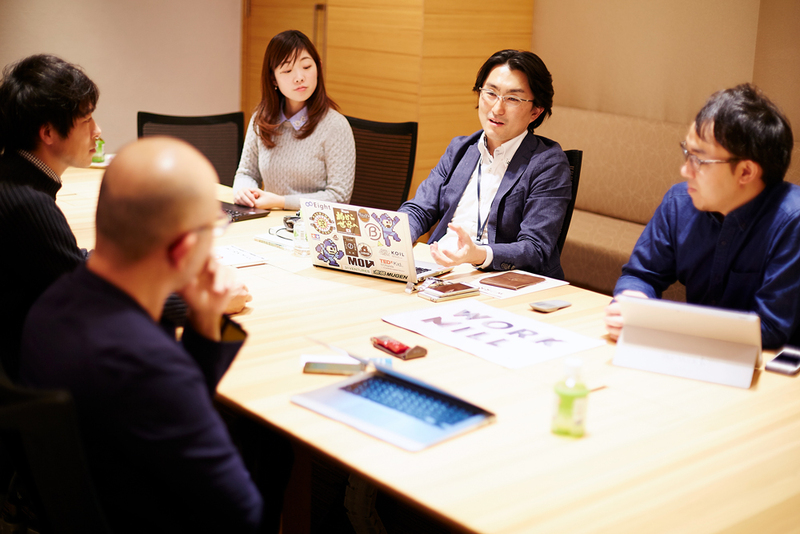 At the kick-off site, the president declared “Become a company that creates a new office culture in Japan.” Based on this phrase, we repeated discussions and decided that the project statement of the project “DRAW YOUR WORK – draws a work”. Yanagawa : It was about before and after this business statement was decided that we participated in the project. I remember that Mr. Late Nogai had consulted “I want to make a platform for information dissemination”. Osonoi : So, I reorganized it as a loft work about the purpose of the project. As a result, I was settled on the policy of creating a Web platform for sending messages, but since I had time to return to the base there over there, I felt that “WORK MILL” now spreads widely I will. The name “WORK MILL” was also visible in this discussion. Yanagawa : In the early stage, the project members clearly have a consciousness that “This is not a job of” making a media “but a work” making a project to change the way of working “named” WORK MILL ” I made it. Web media is one step of the “WORK MILL” project, and I was planning to build a more three-dimensional project from here. Hara (Loftwork) : I was also not assigned as “creating a media” from the beginning, but it was convened for the purpose “I want the project to grow.” There is media in one of several parallel flows in the project. Because we could share this premise firmly, we could have a vision that ” Sea ” * which is an offline place and “WORK MILL” which is an online place resonate and present a new way of working … It was. * Session space Okamura Corporation Co. operates as part of the “WORK MILL” project. We regularly hold events to explore better “working” from now on. Media management focusing on "Who do you make" instead of "What to make"
Yanagawa : Web media “WORK MILL” was released in December 2015. Although there were twists and turns also in concept design and so on, it was the actual number as a project after it was launched. Osonoi : Since Okamura had no experience value of media dissemination, everything was fumbling at first, such as “what to pick up”, “how to determine evaluation criteria and target values”, and so on. In that respect, Loftwork was extremely helpful. Hara : As for the flow of content creation, I’ve brushed up so far with repeated trial and error. We also changed the tools to use flexibly as necessary. Yamada : When I started using it, I was keenly aware that the idea of ​​”making media” was sweet …. Osonoi: Even though only “box” is respectable, if the content which is the key “content” is not devised, the thought does not convey. We discussed how to improve the quality of the content every time we discuss. Hara : In that regard, I was improving while conscious that “I will see the same direction as everyone at Okamura Mfg. I spared the time of communication for that. Even now, once a month, I constantly meet regular meetings, and I also carefully do lap-ups before and after coverage. Taniguchi (Okamura Seisakusho) : That’s right. I felt that the process trying to improve it was different from other companies. Because he listened firmly to this opinion and made a suggestion that suits my needs. For some time after the media was launched, we did not see anything like what I expected. Still, I think that it was only because Loftwork came close to this feeling that I was able to get over the difficult times together. Yanagawa : What we must pay attention to on our production side is “Who do you make” rather than “What you make”. No matter how much you make the best thing you can think of, it is not “best” for Mr. Okamura, it makes no sense at all. We input from the usual late Nogai’s remarks and said, “Is that that you have such a problem awareness, is not it?” “So I hope we can improve here, is not it?”, Thanks to confirming my persistent intentions over and over again, I was able to grow “WORK MILL” without big gap. Osonoi : It is richness of the network of Loftwork that I felt that I am thankful for actually managing the media. There is usually some connection with the person who wanted to pick it up in the media, so interviewing negotiations often goes smoothly. Taniguchi : It was thanks to Loftwork’s network of people that Naoyuki Sato, author of “Tomorrow’s advertisement” and Ms. Saki Yamakawa, founder of “CRAZY WEDDING” realized the interview. 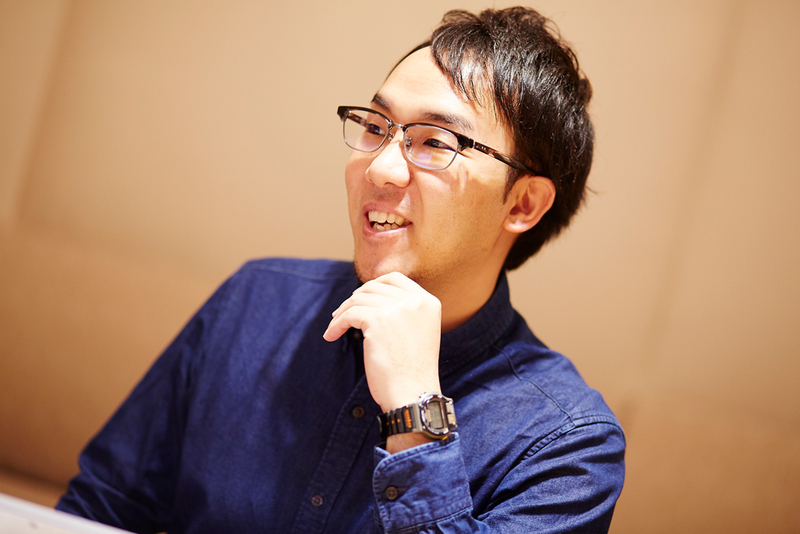 Osonoi: I feel that loftwork is very good at connecting “customer network” and “creative network”. Rather than letting each one to have a one-to-one relationship, we will connect themselves beyond the interests of ourselves, “It seems interesting to see this people and something together”. It seems that they are offering values ​​that are hardly born by such “curiosity” involvement. Hara : Well, we have many faithful to newness and fun. Yamada : Loftwork maintains an environment where “open collaboration” can be done at a high level. For example, suppose that the project “WORK MILL” stalled between us and Yanagawa Mr. Hara. In such a case, the problem is shared in the Loftwork Company, the opinions from other project members are collected, and some kind of update is launched. It is a very reasonable and creative organizational structure that collaboration that always goes beyond department is occurring internally. Osonoi : Somehow, the company itself is like a “co-working space”, is not it? Loftwork. There are diversity within the company, and each employee is connected by a line to each employee. In the interaction, new work will be spontaneously born one after another … Maybe the in-house system of Loftwork may become a milestone of the way that Japan should aim for the future . It is very much appreciated to be able to make media together with a company that makes me feel like that, “Conversion of work way” together. Yanagawa : I’m glad you said so. We are having fun doing thinking about the future of “WORK MILL”. Thank you, continue.